First day back at work for all of us. Most of us are complaining of the cold, suffering the withdrawal symptoms from a blissful Christmas and wishing we were anywhere else but at work today. 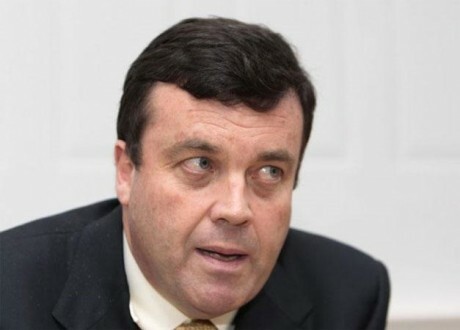 However, none of us can appreciate the weight Minister Lenihan carried with him to work today – returning to a job that no one would relish at the moment, in ill health, with the world and his mother knowing about it! What he has had to go through recently puts everything into perspective and maybe it’s an opportunity for all of us to thank our lucky stars for all the positive things that are in our lives, instead of constantly focussing on the negative. As I read his statement on-line just now, I wanted him to know that what he is going through at the moment is giving people a lot of food for thought. As the owner of a small business, I feel reassured and for the first time in a long while, I have hope that we have the potential for a great leader in Mr.Lenihan. Despite everything he has had to endure both privately and very publically, he is remaining focussed and determined to fight on with a battle he has chosen to lead, in guiding the country through the economic storm. In times of storm, there are two types of people……. and those who build windmills…….. I wish the Minister long and healthy life and just know that he will have the opportunity to build loads of very big and powerful windmills in the coming months and years to come.